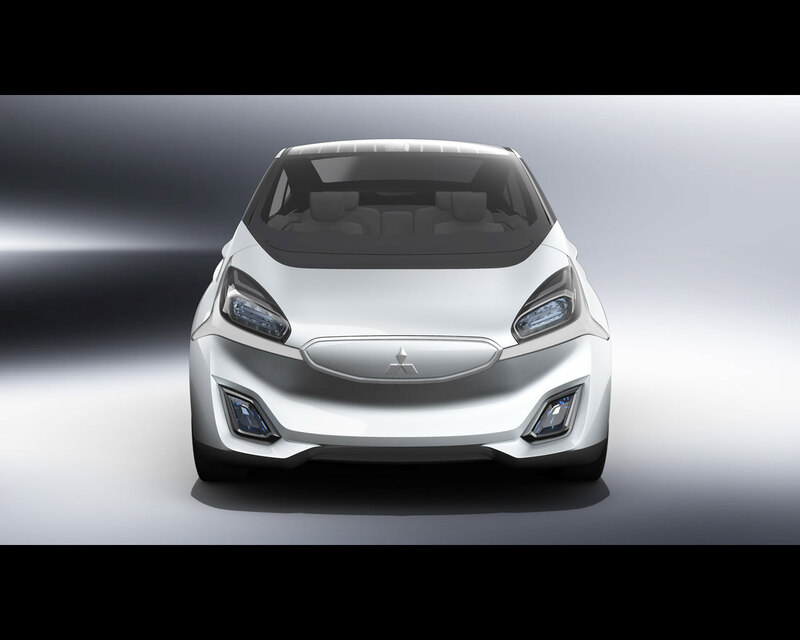 Expanding further, Mitsubishi Motors now explores the full electro-mobility engineering palette – Pure Electric (EV), Hybrid Electric (HEV), Plug-in Hybrid Electric (PHEV) - hinted at through two concept cars world-premiered at the 2013 Geneva Motor Show, next to the New Outlander PHEV, one of which are the Concept CA-MiEV electric vehicle and the Mitsubishi GR-HEV Sport Utility Truck Concept. 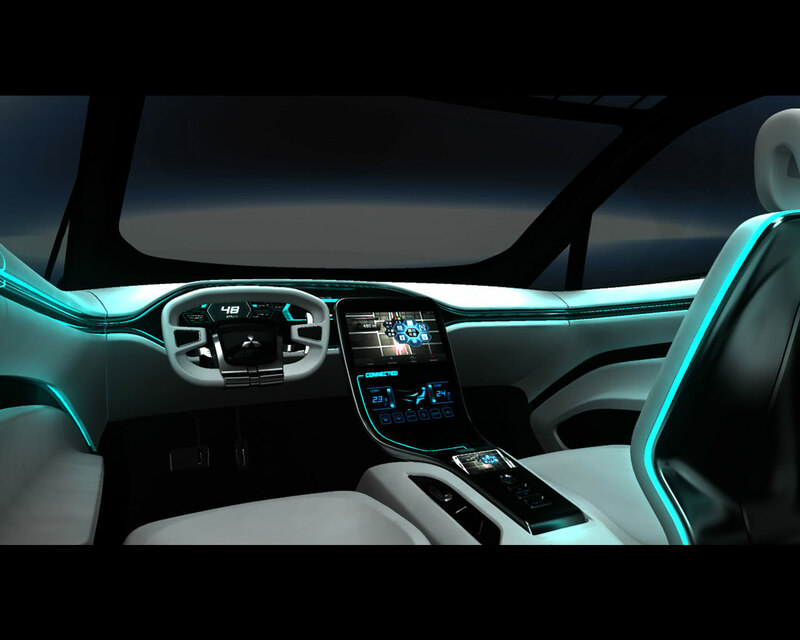 technologies MMC intends to introduce mid- to long-term across its range of global vehicles. In particular, this demonstrator can rely on next generation EV systems and high density batteries, lightweight as well as advanced aerodynamics to offer a 300 km driving range (or about one week of driving for an average European driver (Average driving distance in Europe: 14,000 km/year – source: ACEA) , perfectly suited for suburban & country daily life. 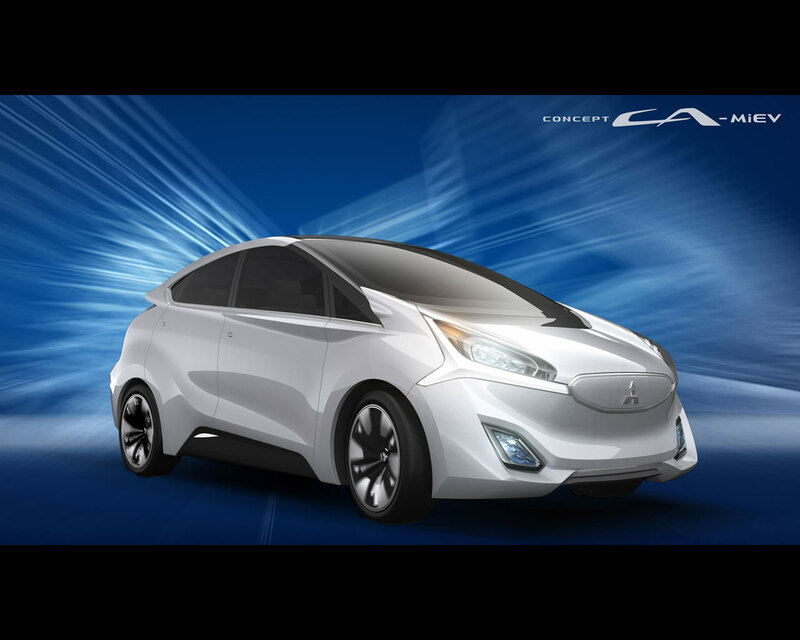 CA-MiEV officially goes for Compact & Advanced technology- MiEV. 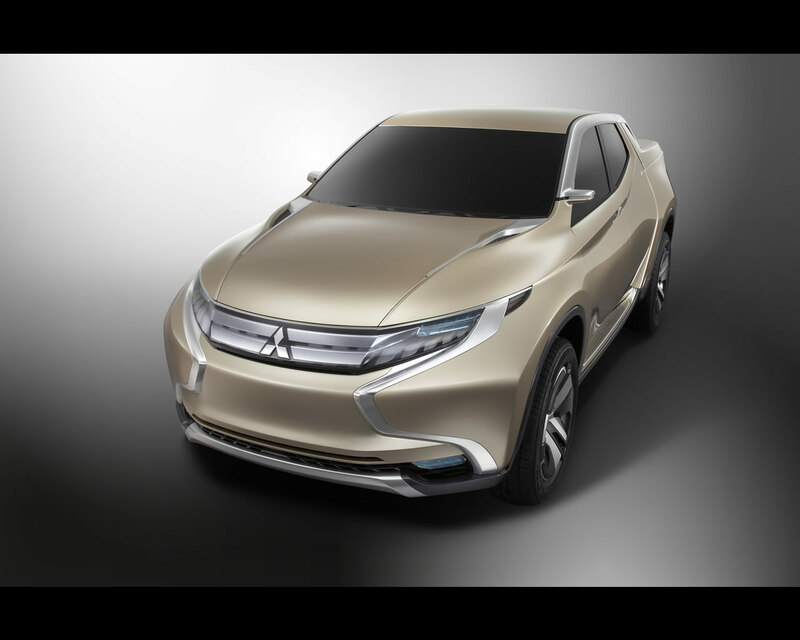 Already hinted at through the first products of MMC’s latest product cycle (pioneering 44g/km Outlander PHEV), this creed will be further adhered to with the introduction of next generation technologies throughout the range over the coming years. Design will play no small part in this new development with a clear emphasis on aerodynamic performance. 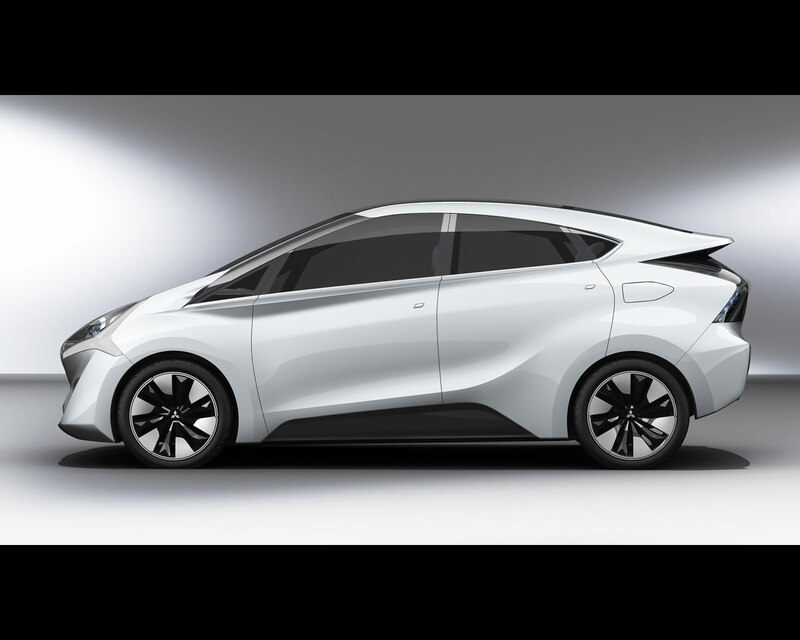 After Global Small’s segment record 0.27 Cd*, the 5-door Concept CA-MiEV compact hatchback takes the baton with a Cd target of 0.26. 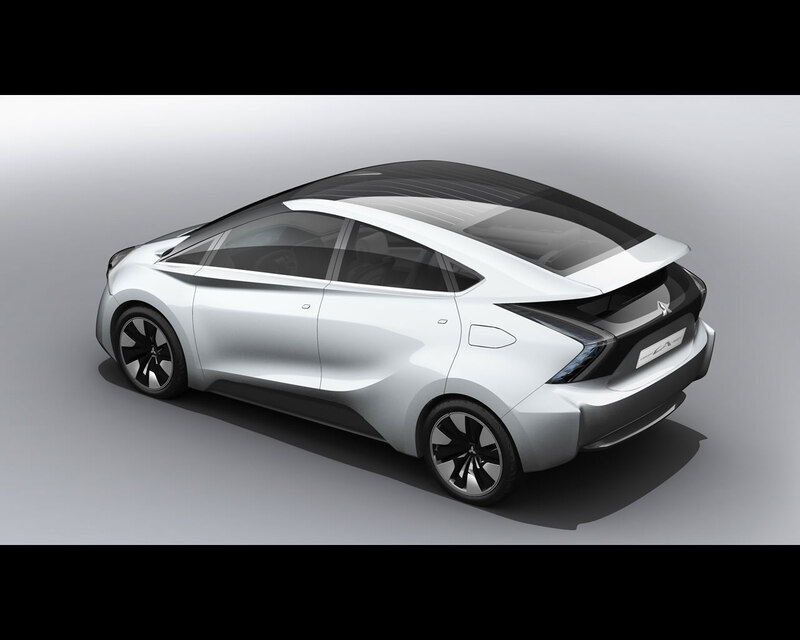 Pebble-sleek, the arrow-shaped Concept CA-MiEV brings a degree of high tech sleekness to small car design, all the way to its unusual canopy sloping rear roof line. Highly efficient (full flat floor, rear-view cameras, minimal air intakes, rear diffuser,…), Concept CAMiEV is also full of dramatic detailing – from the boomerang-sculptured front and rear lights to the ascending side character line enclosing the rear wheel arches to create a strong forward motion effect. management, packaging and weight reduction. - Compact flat battery pack – to help with packaging (esp. for possible later applications like range extender) and better long term battery performance. - Magnetic resonance wireless charging technology – to help with user-friendliness, as jointly announced in September 2011 by WiTricity Corporation, IHI Corporation and Mitsubishi Motors Corporation and currently under investigation and testing. - High density energy Lithium-ion batteries – to help with energy efficiency and also with packaging (28 Kwh available). In this respect, New Outlander PHEV has already proved that EV powertrain and long-haul D-Segment crossover are perfectly compatible. At MMC. 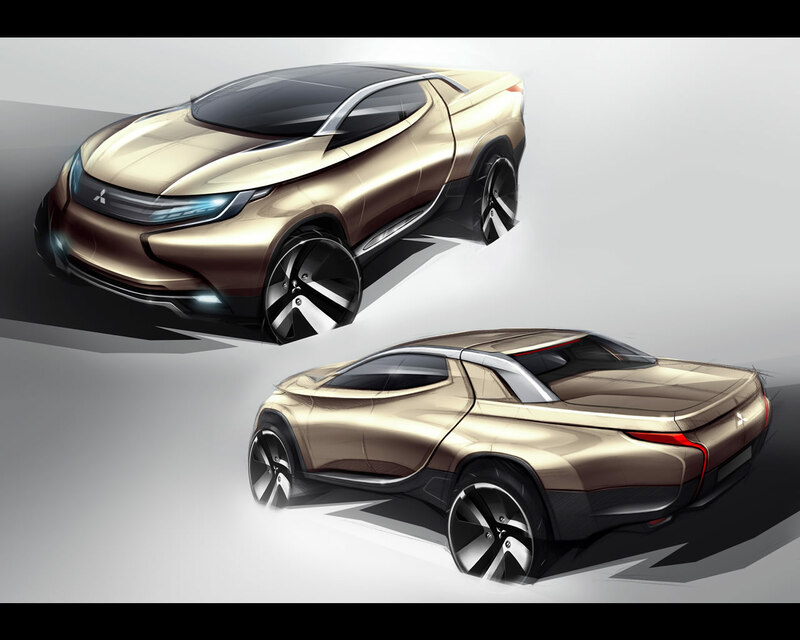 the next logical step will be to expand further, adapting electric componentry to the demands of an even larger, tougher, sportier vehicle with both work and leisure in mind in either mature or emerging market. The GR-HEV designation goes for Grand Runner –HEV. With this evocation of a possible next “Dual Design” vehicle, Mitsubishi Motors introduces an all-new proprietary HEV solution, featuring a 2.5 liter Mitsubishi Clean Diesel engine and a front-mounted electric motor, mated to an automatic gearbox – all controlled by an electronic operating system – as well as a battery pack located (and protected) within the ladder frame – further protection being provided by cross guard bars. 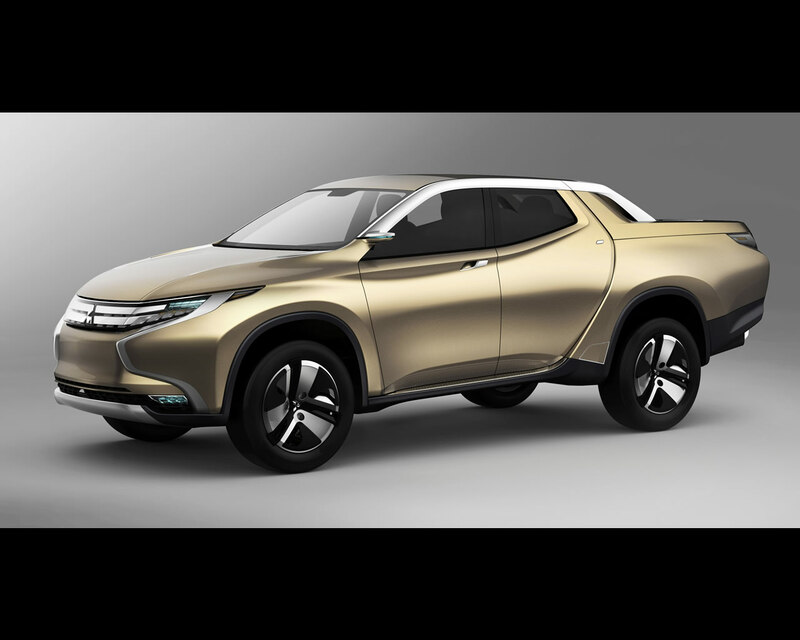 Simpler and more affordable than either EV and PHEV, HEV is deemed best suited to the heavy-duty daily requirements of pickup truck users and a perfect vector for MMC’s green ambitions all the way to the most remote corners of the planet with an ambitious target for CO2 emissions below 149 g/km – far better than segment average. This combination can also provide pure electric power on demand with available AC supply (100V/240V), to replace a generator or to allow the use of a 100V winch for instance, as well as the ability to drive over short distances in pure electric mode. 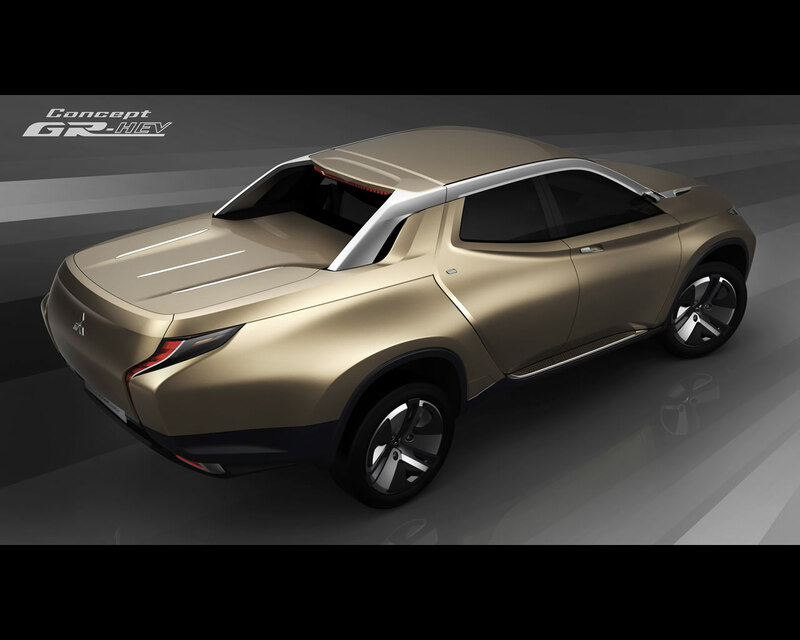 Concept GR-HEV also uses Mitsubishi’s renown full-time 4WD technology, featuring Super All Wheel Control (S-AWC) integrated vehicle dynamics control system to deliver high stability traction and driving performance under all road conditions. system leverages motor’s instant response and controls braking force at each wheel. Torque regulation for instant response and excellent all-terrain performance. 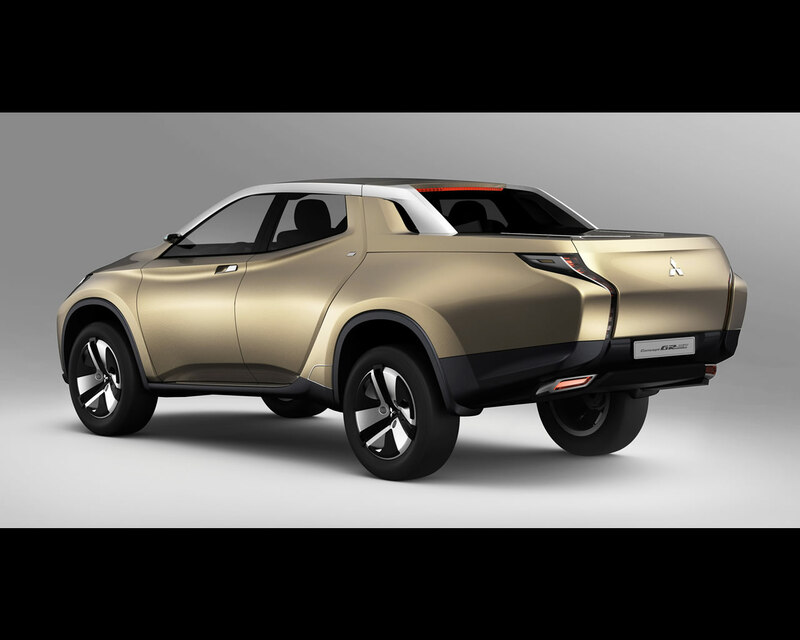 Rugged, handsome and eminently usable, this 4WD Sport Utility HEV Truck show car was developed as a conceptual successor to a long line of one-ton Mitsubishi Motors pickup trucks – from the original 1978 Forte/L200 to today’s Triton/L200. All successful in their time, they always stood apart with their handsome design. Concept GR-HEV continues with this tradition adding a strong dose of aerodynamic chunkiness while escaping the square-rigged look that seems to prevail in the segment. On the contrary, over its long 5.42 m long dual-cab body, MMC Design produced a very muscular athletic shape, highlighted by a sharp blade-like character line, starting from the headlamps and progressing to form a very dynamic upswept beltline. 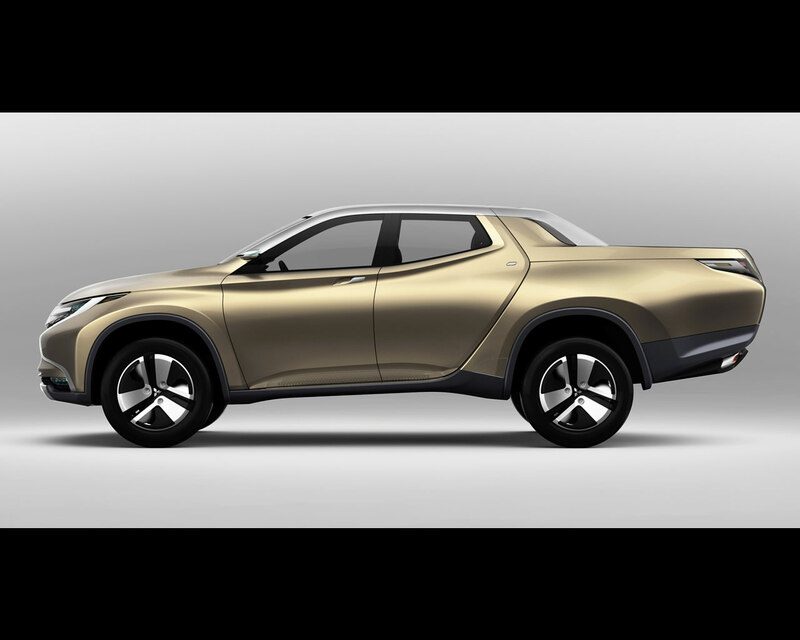 Carrying over a theme first developed for today’s Triton/L200, Concept GR-HEV offers a total (pickup) look whereby the long load bed is the visual continuation of the passenger cabin, simply delimited by a graphic J-shutline, itself serving as support to integrated running boards. Further rear, this load bed extends the 3D-sculptured shape of the cabin, whether in the wide open trapezoidal wheel arches (and their asymmetrical flat molding, suggesting motion), in the shapely tailgate or in the helix-complex rear combination lamps. With their “scattered diamond” LED design, they give an impression of precision-cut jewelry and premium quality appearance of the tail. Topping it up, the upper structure is no less dramatic with a low roofline highlighted by twin elongated satin-finished side moldings. Arching over the cabin, they extend to flying buttresses over the backlight, connected by a twin-boom aerofoil. At the front, the aerodynamic blades of the grille seem milled directly from solid brass as if to shield the Three-Diamond logo, in-between the sculptured wraparound diamond-shaped headlamps – an overall effect of width, stability and solidity. Finishing touch, Concept GR-HEV rides on dynamically styled 3-spoke alloy road wheels using lightweight non-alloy spokes. 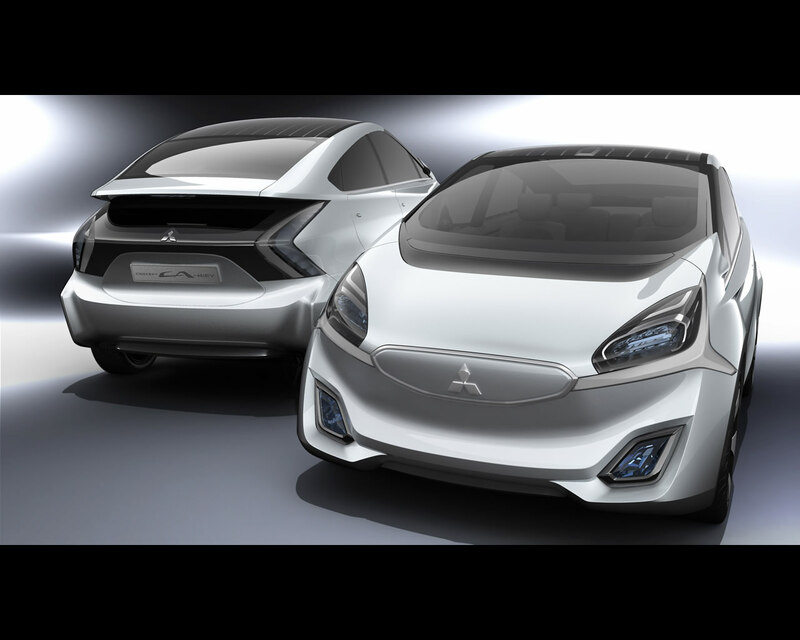 Taking Mitsubishi’s Three-Diamond corporate emblem as the design theme, they suggest strength.